What a cool promo video! Definitely worth watching! Nice promotional video. I’m intrigued about the book now. 🙂 Going to look it up. Oh wow what an amazing promo video and how cool to have one set up! 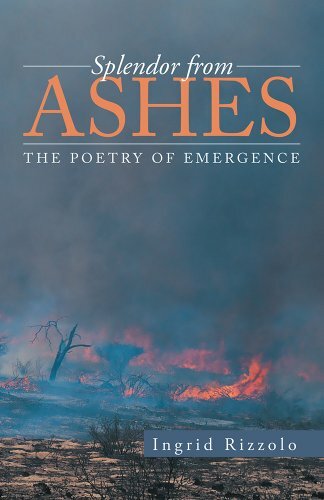 Splendor from Ashes sounds like it will be a good book! I will definitely have to check it out once it’s released! That’s a lovely video.. Thanks for sharing this with us.. This is an incredible picture! What exactly are you promoting? I am sorry you had to go through that and I totally understand your sentiments. Wow, this sounds like quite a heavy book. I like it when books are not only about trivial romance but deal with real-world issues. Thanks for suggesting it! That book looks really good! I will have to get my hands on it. what an amazing video! I want to read this book soon. I amglad you could turn a tramatic experience into an empowering one. Domestic Violence is real and this looks like a book of healing. I always love it when women find the empowerment within themselves to bring awareness to such important issues. If the truth be known, domestic violence has touched all of us in some way or another; whether it’s happened directly to us or whether we’ve watched someone else experience it. Kudos to you for sharing. The promo video is really nicely done and makes me want to pick up the book. Totally want to read it now! that was a really amazing video to promote the book! last year i really tried to get back into reading and I fell short but I might have to throw this one into the mix of the others I have waiting on me! A promotion video is a great idea for a book! Nice job. This looks like an interesting read. Thanks for promoting it. Please read it. You will like it. This looks as though it would be an important read. I love it when books speak bluntly about real world issues like this. I know it’s not nice to judge a book by its cover, but I really like this one. Checking out the promo video now. Domestic violence is something most women keep quiet. Glad there is an outlet for others to connect to. Sounds like an awesome book. I love the photo on the cover! Wow thats a great video. The books sounds interesting. Trinis to the world and beyond. I honestly need to read this. I owe it to myself. The books sounds amazing. Domestic Violence is something that is sometimes hushed, when it shouldn’t be. It doesn’t matter if you are male or female, talking about it is something that should be encouraged more often even if its through literature. Thanks for sharing, this book sounds very intense and interesting! That was a great video and I’m interested in reading this. Domesitc violence hasn’t been on the forefront enough with the plethora of issues regarding power and control. I’m happy to see a book (of poetry nonetheless) dedicated to the issue. This book sounds interesting, I think everyone knows someone that can read this book! It is so important to raise awareness about this issue. Domestic violence will never ever be ok! Thanks for sharing! Looks like an interesting book. It’s been awhile since I have read one. Maybe I will pick it up. Such a great promo video! This is my first time hearing about this!